The modern way of laminate flooring is a lot different from modes of flooring which were first invented in a flooring industry during 70s. With more and more advancements in the flooring technology and industry, laminate flooring has made a name for it and continues to be a perfect choice for homeowners. 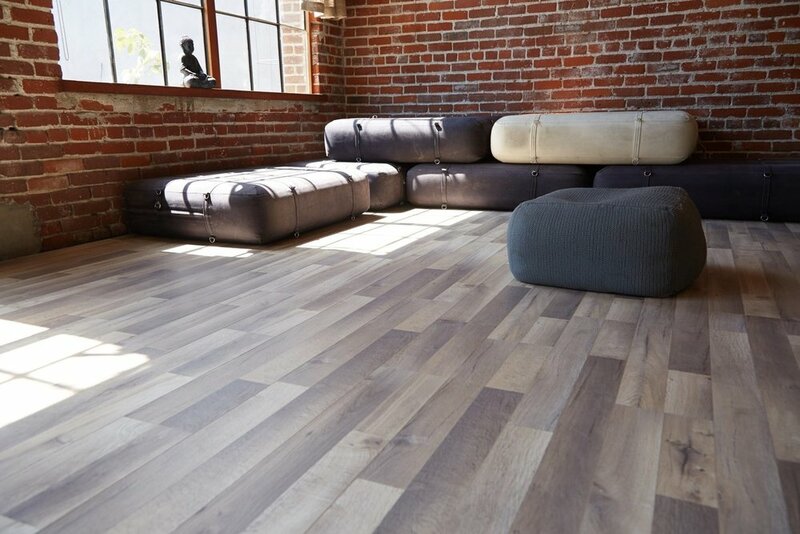 Laminate flooring provides you with a long-lasting, original, valuable, and flexible result. In this article, we will discuss the reasons due to which laminate flooring remains to be best choice for most people. Laminate flooring is considered a surface, which is, pet-friendly and is able to survive high traffic (family get-togethers). The heat and pressure, which is produced during the lamination process, are used to merge lamination’s layers with each other, which in turn provides a great durability and increased strength to the floor and helps in providing stylish wood look. The topmost layer of a laminate floor helps in avoiding stains and fading of a stylish look. Laminate flooring is known for its tongue-and-groove locking system, which is used to provide high tensile strength for durability purposes. As we have already mentioned that laminate flooring is family-friendly, therefore, due to laminate flooring’s flexibility, it can be fixed in almost any room of your house even in those areas, which receive a lot of traffic such as the entry points of the house, and family rooms. Laminate flooring in a kitchen makes it very easy to clean the kitchen floor. People should not install laminate flooring in the wet areas such as bathroom floor because the laminate material and wet wood do not get along. If you are looking for something, which is budget friendly, then you can opt for laminate flooring because it is both economical and provides great flooring. With a continued growth of laminate flooring industry, this material continues to amaze everyone with its great hardwood look without the expensive price tag. One of major reasons for laminate flooring’s success is that it makes it very easy to clean a floor. Laminate flooring provides you with a clean natural hardwood look which in turn requires a lot let less care. The dust can be easily cleaned from these floors, and all spills can be eliminated with a vacuum only. Due to its cleanliness, it becomes very easy to maintain your floor, and you also get great performance from it. In a beginning when laminate flooring industry made its debut, people easily spotted that there is an artificial lamination on your floor but with the increase in technology standards, spotting the difference has become very difficult eve for a flooring masters. Due to laminate flooring’s tight tongue-and-groove locking systems, a great and highly original hardwood look is originated which gives a natural look to your floor and amazes all people around you.